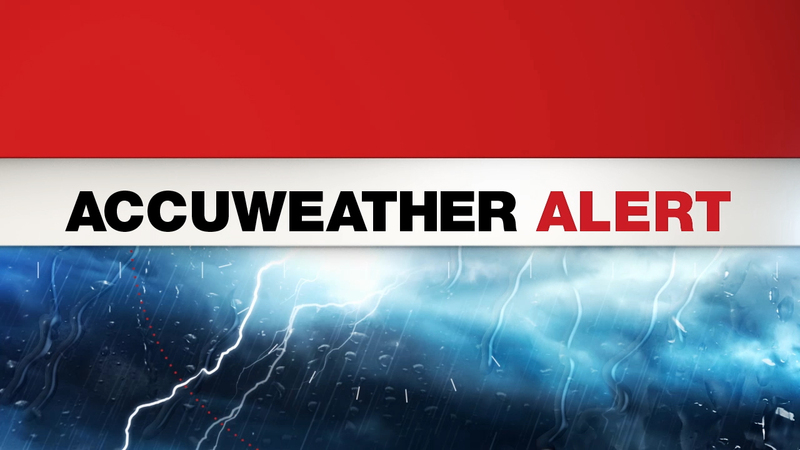 NEW YORK (WABC) -- The storm system that spawned deadly tornadoes in the Midwest is on its way to the New York area, with thunderstorms expected to arrive in the afternoon. 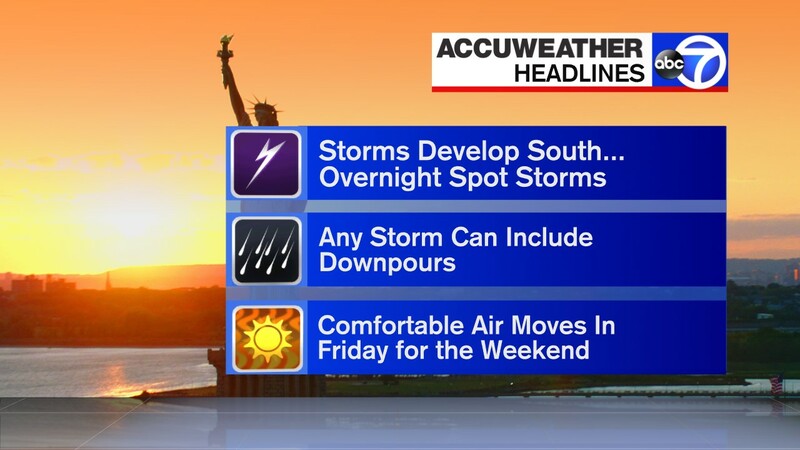 The AccuWeather forecast calls for showers developing by mid-day, and two separate rounds of storms that will last into the evening. The greatest threat will be damaging wind gusts, of up to 60 mph. The stormy weather will be accompanied by near record warmth, with a high temperature Wednesday of 70. Temperatures will then turn colder Wednesday night with a low of 48.